Johno Benner has no doubt he is taking a horse to the races capable of winning Saturday’s Gr.1 Livamol Classic (2040m) at Hastings. Benner and his partner Holly Wynyard will saddle Scott Base and Wyndspelle for the weight-for-age feature, confident the pair possess the ability to upset $2.10 favourite Savvy Coup. While Scott Base has chased home Savvy Coup in the Gr.1 Tarzino Trophy (1400m) and Gr.1 Windsor Park Plate (1600m) at Hastings in recent weeks, he had lowered the Canterbury filly’s colours when winning the $1 million Karaka Million 3YO Classic (1600m) at Ellerslie last season. “I’m very happy with Scott Base. You can never underestimate what he’s capable of. I’ve had unwavering faith in this horse and I think he can win, even with Savvy Coup in the field,” Benner said. 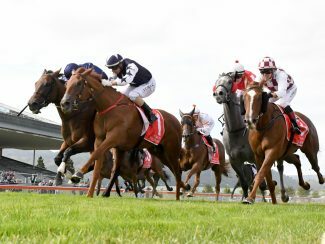 “He’s been a victim of the way the track has played on the first two days and he’s cost himself by being a bit tardy coming from the barriers. It’s been no fault of Vinnie’s [jockey Vinnie Colgan] but he hasn’t been able to get clear at the right time. “But if this horse can get clear air, and as long as they are able to come wide to swoop and win with the way the track is playing, then I won’t be worried if he does get back. He’s got an amazing turn of foot. TAB bookmakers rate Scott Base as the main danger to Savvy Coup and have the Dalghar four-year-old as a $7.50 second favourite, with Wyndspelle on the fifth line of betting at $12. “Everything is good with him, though the barrier draw is a severe blow,” Benner said of Wyndspelle drawing the outside barrier of 14. “The 59 kilos for a small horse drawn out there makes it a bit tough but he’s got the right man [Jason Waddell] on board and it’s good to have him in our corner. Safely through Saturday’s race, five-year-old Iffraaj entire Wyndspelle could drop back to 1600m with Trentham races such as the Gr.3 Thompson Handicap on October 27, the Gr.1 Rydges Wellington Captain Cook Stakes on December 6 and Gr.1 Harcourts Thorndon Mile on January 19. 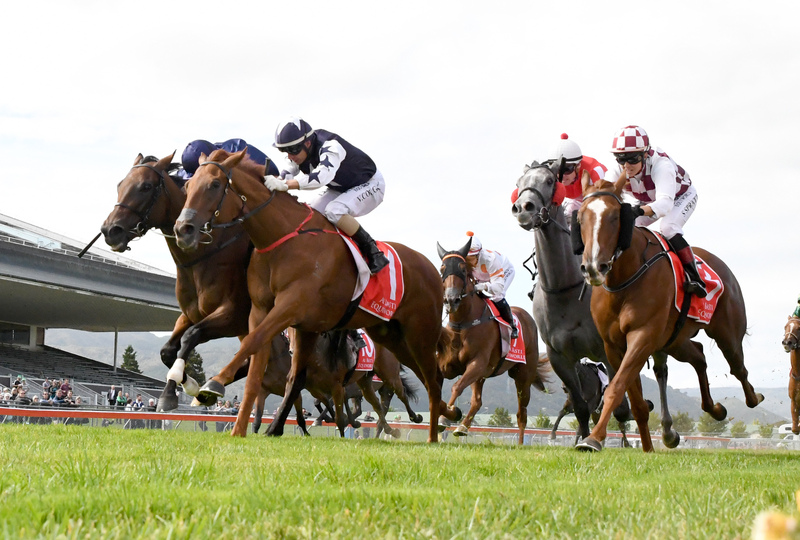 A bold performance on Saturday could secure Scott Base a trip to Melbourne for the Gr.1 Cantala Stakes (1600m) at Flemington on November 3, with the Gr.1 Mackinnon Stakes (2000m) at the same track a week later also a possible target. “But the horse needs to prove himself first. He needs to put his hand up on Saturday,” Benner said. The stable’s other runner at Hastings on Saturday is Devine Love in the Dan D’Esposito Memorial (1200m), with Waddell booked to ride.